Welcome back to day 2 of Stamp Highlights! Today we are gathering with these Party Animals and having a good 'ol time! 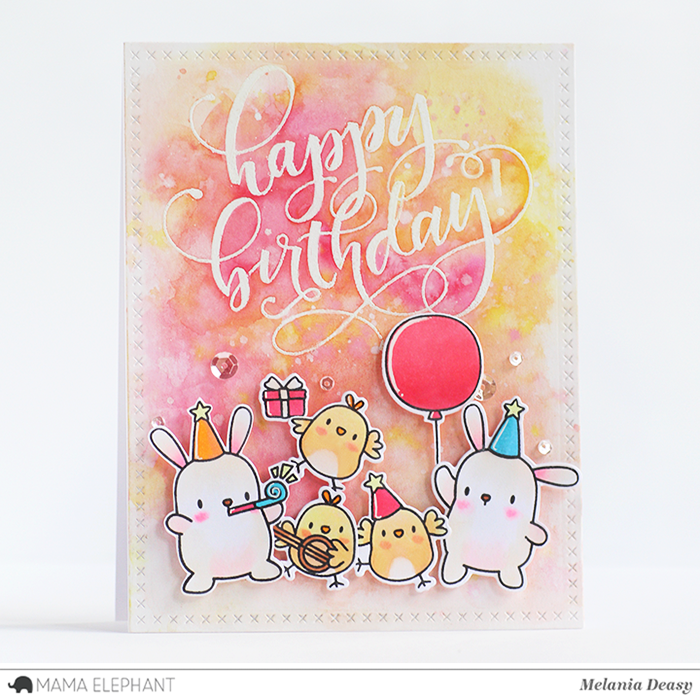 We love how Deasy created a fun Birthday card by combining the adorable bunnies with the beautiful hand lettering from Birthday Wishes stamp set. This stamp set is so perfect for party cards. Anna created a card for someone 21+. Or is this Children's champagne? 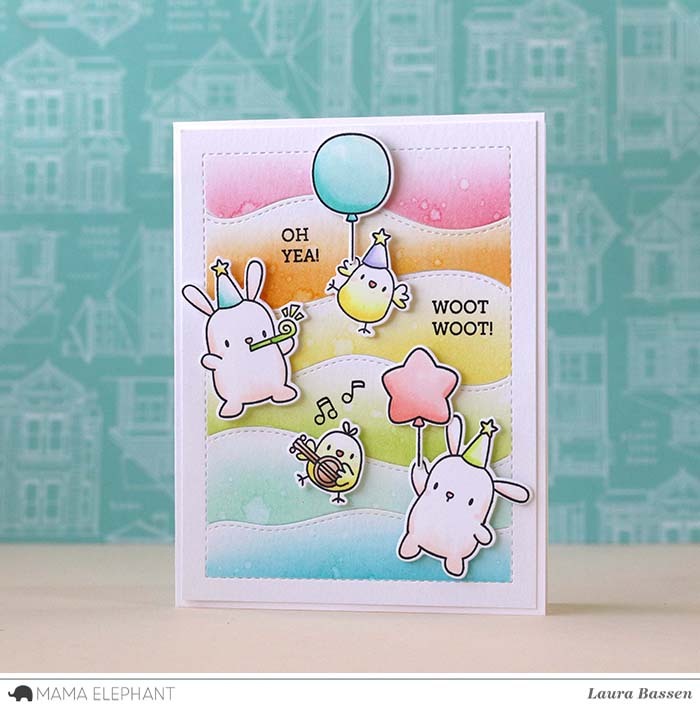 Laura used the Hillside Cover creative cut to make a fun background for her cute party animals. 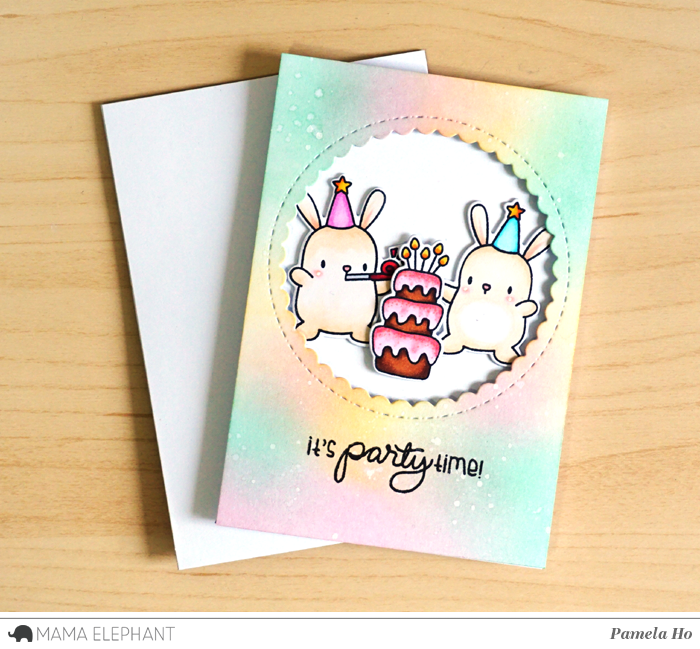 Let's party with these Lil' party animals! We love that dreamy party colours! Let's party! 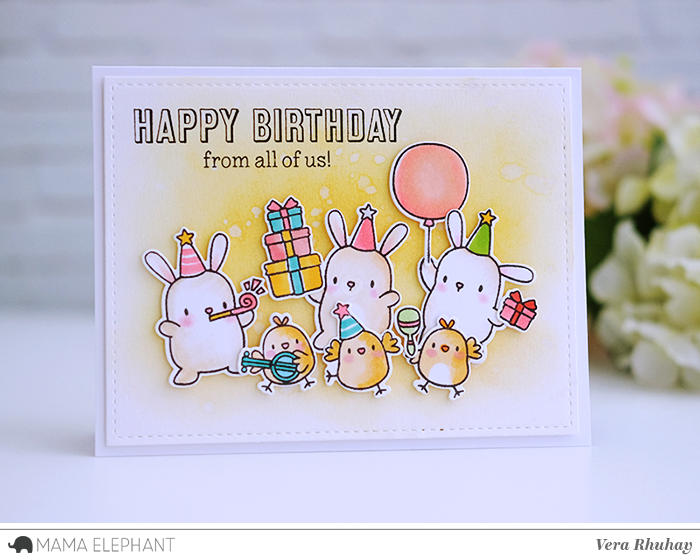 We love this fun Birthday card from Vera! All the cards are so cute !! These are all so adorable!!! Just ordered myself a set 😊 Thanks for the inspiration. 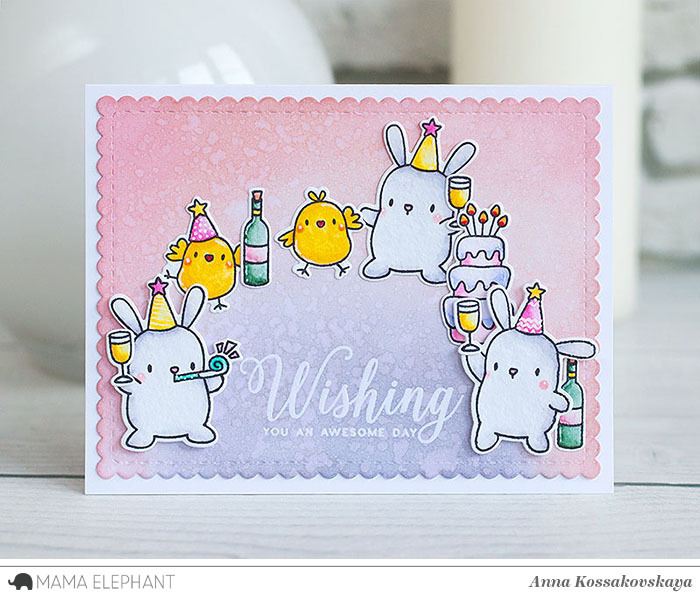 All the cards are super adorable and love those Party Animals! love those super adorabe cards! These are all fantastic Melania, I love the pretty pastel colours! Wow!!! They are all sooooo Stinkin' CUTE!!!! Such fun creations... party on!